How will the Tax Cuts and Jobs Act of 2017 (“TCJA”) affect business aviation lending? And what does this mean for you? A surplus of capital/available funds will be created for many corporations by the decreased corporate tax rate. In 2017, C corporations were subject to graduated tax rates of 15% for taxable income up to $50,000, 25% (more than $50,000 to $75,000), 34% (more than $75,000 to $10,000,000), and 35% (more than $10,000,000). Beginning with the 2018 tax year, the corporate tax rate is a flat 21%, and the corporate alternative minimum tax is eliminated. 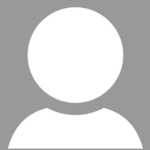 Bonus depreciation has increased from 50% to 100% on equipment, including aircraft. Depending on ownership structure, if you use your aircraft for business purposes, you may be able to immediately write off the entire cost of an aircraft acquired and placed into service (e.g., flying at least one qualifying business trip) after September 27, 2017, and before January 1, 2023. For tax years after 2022, there is a gradual phase out of bonus depreciation by 20% each year for five years. 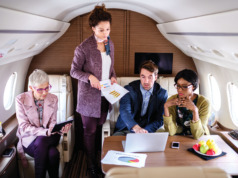 In addition, bonus depreciation under the TCJA applies to both new and pre-owned aircraft, as long as the aircraft is used for business purposes. 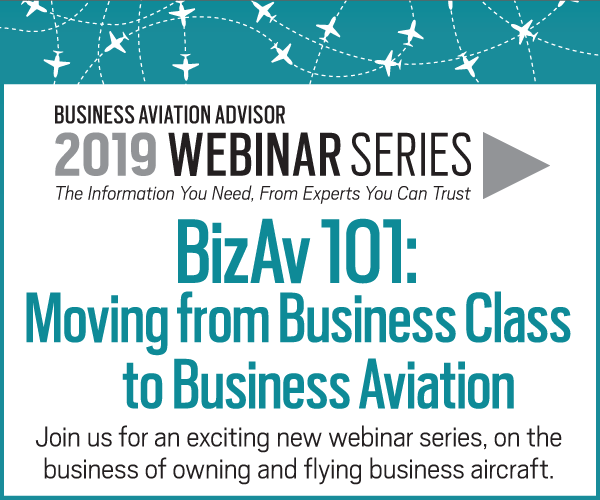 Note that, for the next five years, aircraft used for business purposes qualify for 100% deductions in the cost of ownership for both new and pre-owned aircraft. 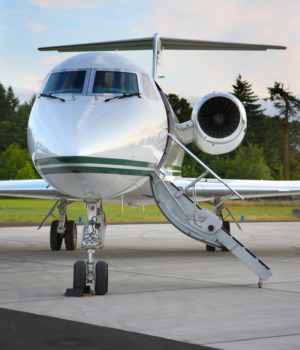 Under the TCJA, you will no longer be allowed to defer taxable gain on the sale of aircraft through the use of a like-kind exchange. Starting in 2018, the taxable gain on the sale will be subject to immediate recapture for tax purposes. However, if an aircraft, new or pre-owned, is purchased in the same year as the sale, and you are able to take advantage of bonus depreciation, then you may be able to reduce or eliminate the overall tax impact of the aircraft sale. The elimination of like-kind exchanges became effective on January 1, 2018 and is a permanent repeal. The National Aircraft Finance Association (NAFA) lender members are already noticing some definite trends after the passage of the TCJA. Lenders offering tax leases expect their lease portfolio to grow. Although many clients will not be able to take advantage of the 100% depreciation under a tax lease, the lender can benefit in this circumstance. Lenders are investing more resources, including more robust modeling systems to predict aircraft depreciation, in order to develop better lease offerings. Furthermore, some lenders who had stopped doing leases altogether are now advertising a lease option for the first time in years. A number of corporate clients have evaluated the impact of the TCJA on their individual situations and are now considering replacement aircraft, whereas such a consideration had been on hold in years past. 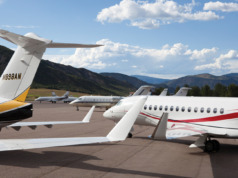 There is an increase in activity from current aircraft owners who own personally and are now seeking to upgrade to a newer aircraft – perhaps a result of both the strong economy and the decrease in taxes under the TCJA. If the TCJA does stimulate economic activity, rising interest rates may follow, a significant change for lenders and borrowers since we’ve had historically low rates for the last six years. Some NAFA lenders indicate that higher rates may lead to more aircraft financing opportunities. 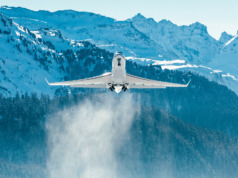 They reason that businesses and individuals who have used the liquidity on their balance sheets to self-finance investments may now look to leveraging an asset like an aircraft and deploying that liquidity into new investments.